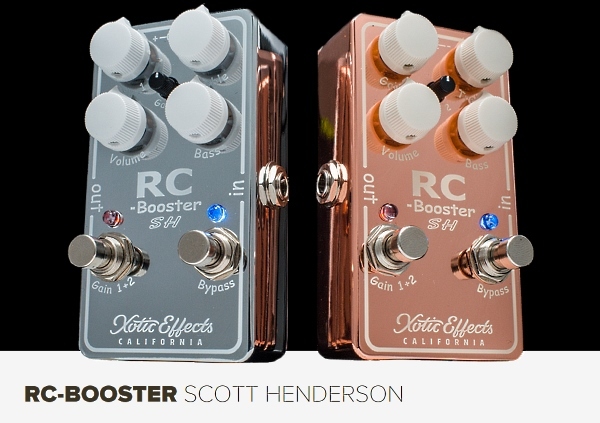 Limited Edition RC Booster - Scott Henderson Signature Model. Designed in conjunction with jazz fusion and blues guitarist Scott Henderson, the RC Booster SH model improves on the original RC by adding an additional gain switch that gives players access to a whole new level of gain control. The RC Booster will come with a free download card of Scott's new CD "Vibe Station" and certificate of authenticity along with special packaging. Limited to only 1,500 chrome and 1,500 copper pieces worldwide!